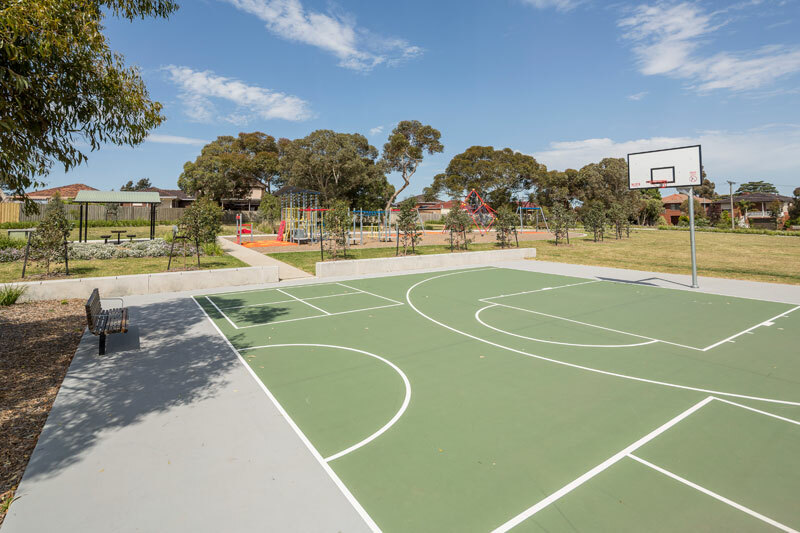 City of Whittlesea engaged UDL to carry out the landscape construction for a Playground Renewal in Bundoora. This particular project was designed with a variety of functional spaces. BBQ /Shelter area, Playground, Basketball court and number of seating areas situated under large existing trees looking onto the surrounding landscape. Each space is set at different levels linked by an exposed aggregate pathway leading down to the entry point of the basketball court which is defined by a concrete feature wall. To one side of the playground is a shared concrete pathway with exposed aggregate inserts linking each entry point of the park together. UDL and the client are thrilled about the final outcome of this project.